When you need a Baltimore breast augmentation procedure, it’s advisable to seek the services of a reputable surgeon. Insisting on a Baltimore plastic surgeon like Dr. Jeffrey Schreiber, who has the necessary expertise, experience, and equipment to perform breast augmentation procedures, will ensure that you attain the highly desired results you seek. There are several reasons why a woman would consider breast augmentation, either for a breast reduction or for breast implants. However, a common reason many women go for the procedure is to have breasts that compliment their body shapes and boost their self-confidence. Besides a breast augmentation using implants, a breast lift in Baltimore is another option some women take advantage of when the sagging of their breasts is extreme. The procedure helps raise the position of the breasts so that they look much more appealing. Breast augmentation is a procedure that involves the insertion of implants shells into the breast and filling them with specific substances. The shells can be filled using saline water, silicone gel, or with fat from other places on the body, referred to as ‘fat grafting’. It requires creating an incision in a specific body part for the insertion of the implant shell, either filled or empty, depending on which substance is to be used. The implant can be inserted through an incision made under the breast, belly button or armpit. The advancements made in surgical procedures have made breast implants safe. Saline water, silicone gel and fat grafting are all FDA approved and have been used for decades with excellent results. 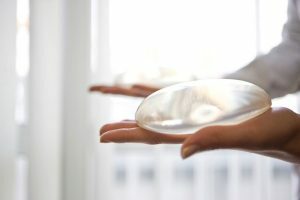 At the same time, breast implants last longer that many people think. That relieves you of the worry of having to replace them frequently or have multiple surgeries. Any time you need a Baltimore breast augmentation, it’s important that you have a consultative session with your plastic surgeon to explore the available options and the advantages associated with each.